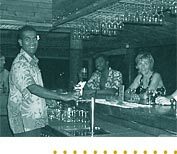 Looking for employment in the South Pacific? Use the simple 'Find a Job' search on the right to obtain a listing of current job opportunities in your field of employment. New to the website? Click here to apply for membership and submit a CV or resume. Membership is FREE! Your CV/Resume information will be accessible to prospective employers who use the SouthPacificEmployment.com website, thereby increasing your chances of finding employment. Don't miss out ... Click "New Membership Registration" above! If you are already a Member, please login above by entering your username and password, or click New Member Registration to apply.